Learn the basics of weaving by starting on a simple rigid heddle loom. 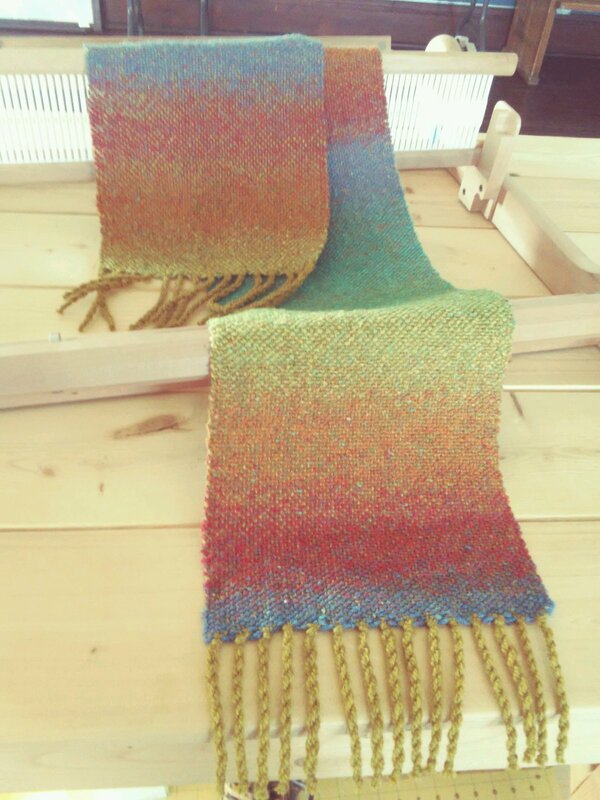 Portable, easy, and fun, the Rigid Heddle loom is a great way to learn and weave small projects such as this scarf. Determining yardage requirements, choosing yarn, setting up the loom, weaving techniques and finishing will be covered. Two Days are recommended to complete this course. Friday, March 22, 2019 from 10:00 a.m.- 5:00 p.m.
INSTRUCTOR: Rebecca Thingvold COST: $120.00 2 days MATERIAL: $20.00 includes yarn for scarf pictured and handouts. THIS CLASS IS LIMITED ENROLLMENT UNLESS YOU HAVE YOUR OWN LOOM. Cost of materials, depending on your project, will be approximately $20.